If there’s an area of your life that’s got you feeling stuck or frustrated, getting unstuck could be simpler than you think! When we want to make a change in our lives, research tells us that little steps are actually incredibly powerful. If we try to make a huge change, we tend to put our focus on DOING something differently. The problem is, you’re not making change at the deeper, unconscious level of BEING. New Year’s Resolutions are such a great example of this! You might plan to start getting fit, but after a few days, well – you know how it goes. You don’t feel like getting up. You can’t be bothered and there’s no shortage of stories in our head about why we shouldn’t do it just now. Sound familiar? I’m pretty sure we’ve all done this in some way or another! If we put the focus on little steps in the way we’re being, we can achieve success that feels good and creates momentum to continue. It’s important to realize that resistance is real! This comes from our subconscious mind, that is hard-wired to keep us safe, which to the mind means staying the same and avoiding change – which it sees as dangerous. As part of its protection mechanism, the mind creates “stories” that keep us stuck in the same old patterns. Just knowing this is a big step towards freedom. So what’s an area of your life where you could “tell a new story” and make a small action step in the way that you’re being? 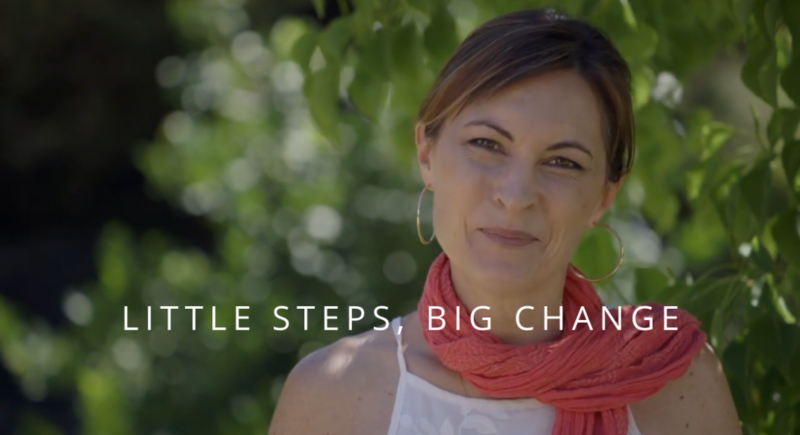 Join my Let Go & Reset day retreat (or get the Video Package option if you can’t make it live) to learn the life-changing power of letting go and get clear, relaxed, inspired and focussed to create your best year ever!